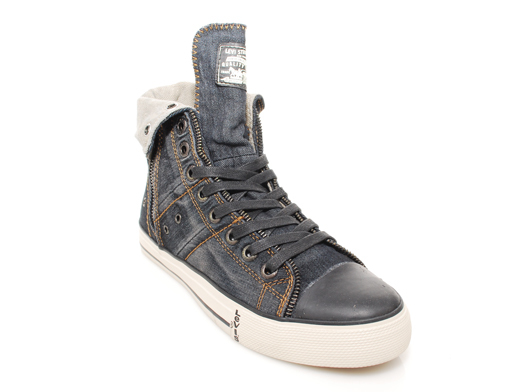 Loving these Levi’s Zip EX Hi Denim sneaks we saw at Sportie LA. The Levi’s Zip Ex Hi Casual Shoe is the perfect addition to any Canadian Tuxedo. This entry was posted on Saturday, July 16th, 2011 at 6:55 pm	and tagged with Canadian Tuxedo, Denim, Fashion, Levi's, Los Angeles, shoes, Sportie LA and posted in Fashion. You can follow any responses to this entry through the RSS 2.0 feed.